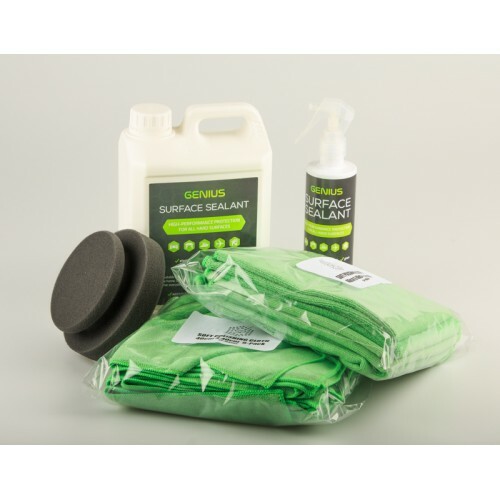 The Genius Surface Sealant kit contains enough sealant to protect multiple and large vehicles, such as motorhomes, caravans, race trucks, boats and planes. It provides high performance protection on all hard surfaces and leaves a long-lasting glossy finish. 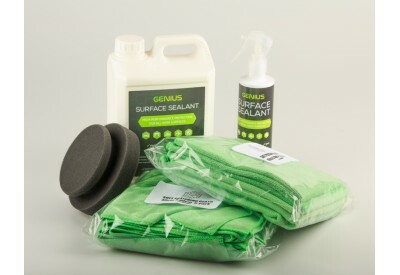 Genius Surface Sealant guards against ultra violet rays, water, bird lime and other everyday pollutants. Once applied, surfaces become easier to clean and protected against UV, pollution, road salts and grime. 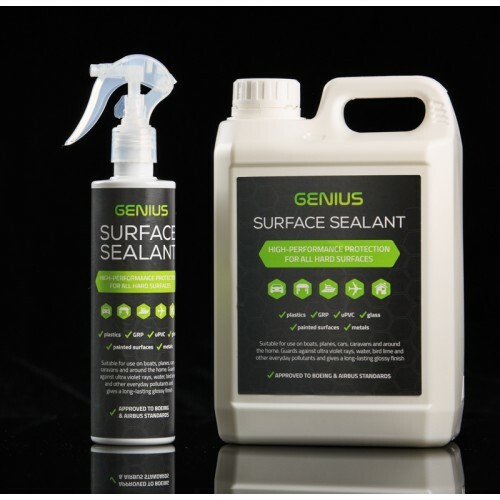 SP Genius Sealant has also been tested by SMI to Airbus and Boeing standards, meeting all criteria for aircraft hard surface use. Use on plastics, painted surfaces, GRP, uPVC, glass, metals and sail cloth. Approved for non dairy food use. How do I apply Genius Surface Sealant? Thoroughly clean the surface prior to application. Apply sparingly using the fine mist spray to wet the surface fully with the minimum amount of sealant. Gently spread the sealant evenly over the surface using a clean cloth or foam hand puck and allow to dry for a few minutes. 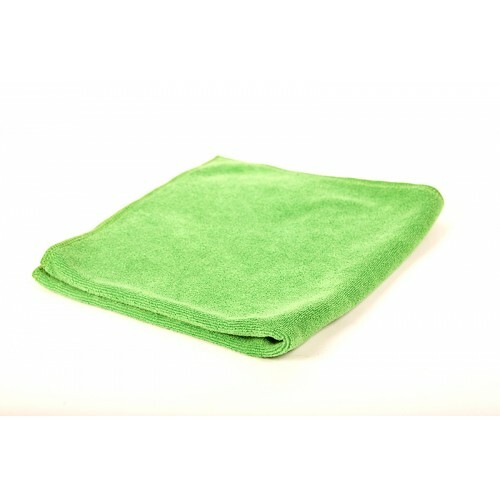 Buff the surface with a clean, dry microfibre cloth to remove any smears or residue.